Pixel Ruler Could Probably Be Useful To Someone | OhGizmo! The ultimate tool for responsive screen size sketching. 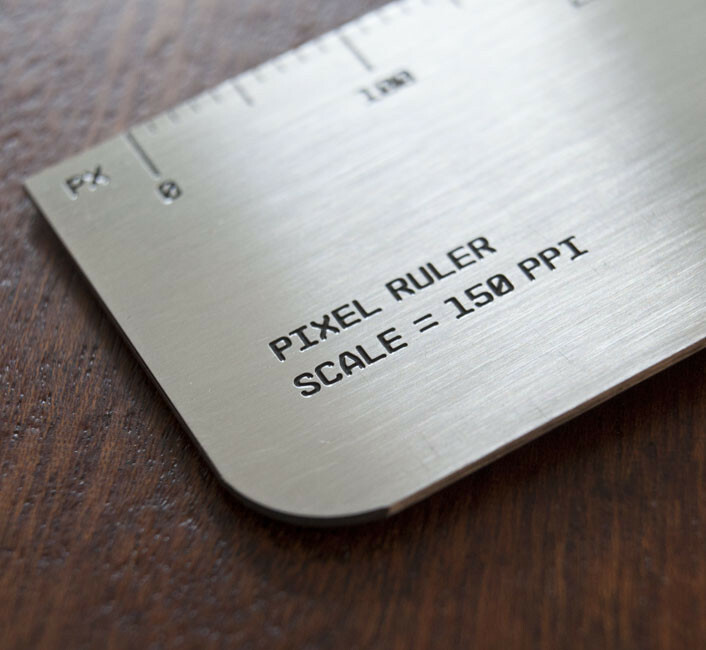 Heavy-duty gauge stainless steel ruler with pixel increments. Markers for mobile, tablet and widescreen (laptop) sizing. Forgive our ignorance on this particular topic. If you’re so inclined, hit the jump and look at more pictures of the $24 ruler and click on the link for purchasing. And if anyone wants to enlighten us, and other readers, let us know in the comments. It isn’t so much about actual size as it is a math shortcut to get the screen shape(s) right. It would be useful to someone designing iphone/ipad apps if they do preliminary sketches on paper.